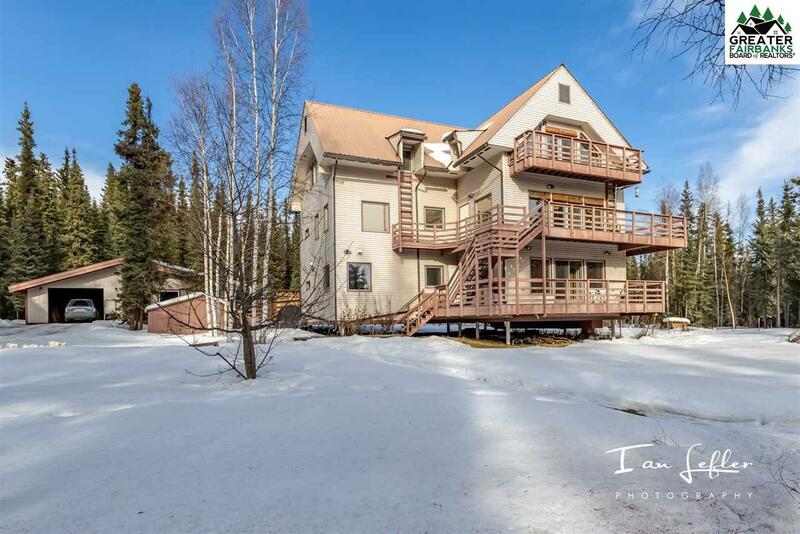 This engineer-designed home sits on a peaceful 5 acre lot, adjoining Creamers Wildlife Refuge, with lots of trails for dog mushing, skiing, winter bicycling, nature hikes, berry picking, etc. 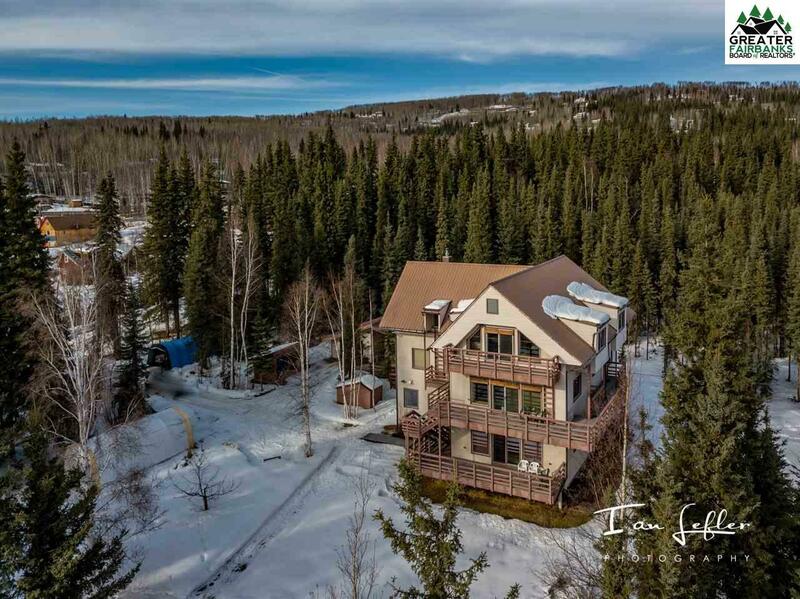 This home was very well built to withstand our Alaska environment, with 18 inch walls, 2 x 12 rafter and truss roof framing, and steel thermosiphon pile foundation. In addition to the quality construction, this super-insulated home has a system 2000 boiler for low-cost heating. An artesian well provides water for the home. The three-floor layout is very roomy with several living space options. The downstairs can be separated from the main home and used as a two or three bedroom and one or 1 bath mother-in-law or rental unit. The first two floors of the home are handicap accessible. On the second floor youll find a fourth bedroom and a second full bath. An adjoining room has been plumbed for an additional laundry and half bath. The kitchen on this floor features an island and opens to a large dining area great for entertaining. The living room is comfortable and bright with lots of natural sunlight even during our winter months. Want to see the Aurora or the Alaska Range? Head up to the third-floor. This open space has so many options and could be used as a bonus/game room, guest quarters or even a huge master suite. It includes a kitchenette and a bath. And youll find decks on each level of the home, to enjoy the lovely, private outdoor setting. There are also a carport and several parking areas. An additional insulated, dry building can easily be used as a heated workshop or studio. 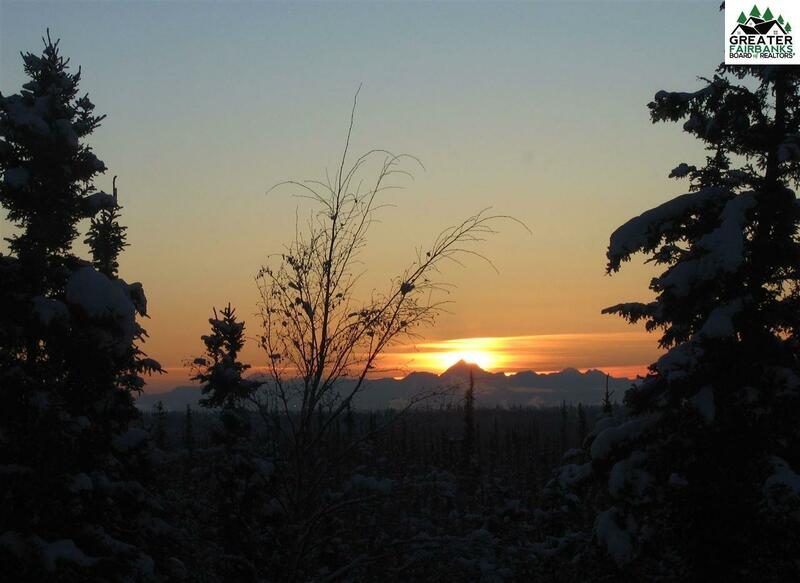 Plenty of outdoor storage is available for your Alaska toys and lawn accessories. 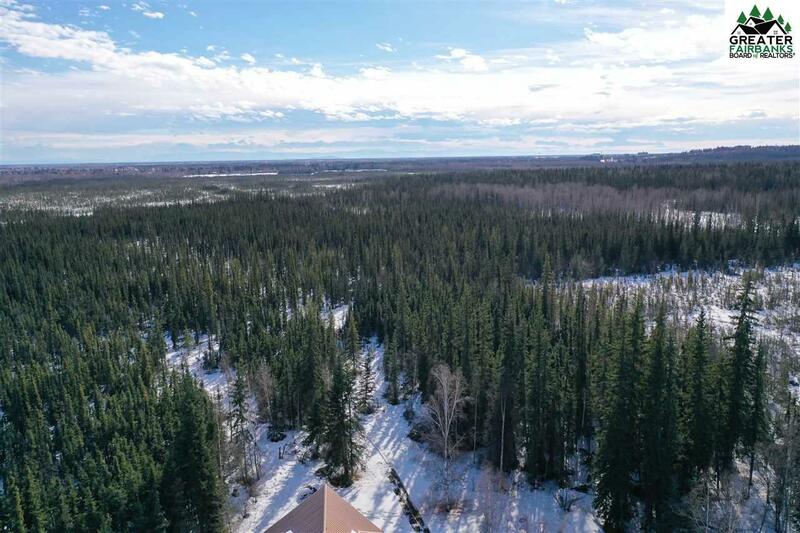 This is a great home in a fantastic location just off Farmers Loop Rd and minutes to any part of town. New ceiling installed on the second floor, new trim, and light fixtures installed in the past year. Quadruple Pane Tilt-turn windows, absolutely top of the line! Engineer's report and Pier inspection in associated docs. Listing provided courtesy of Mike Maynard of Empire Realty.